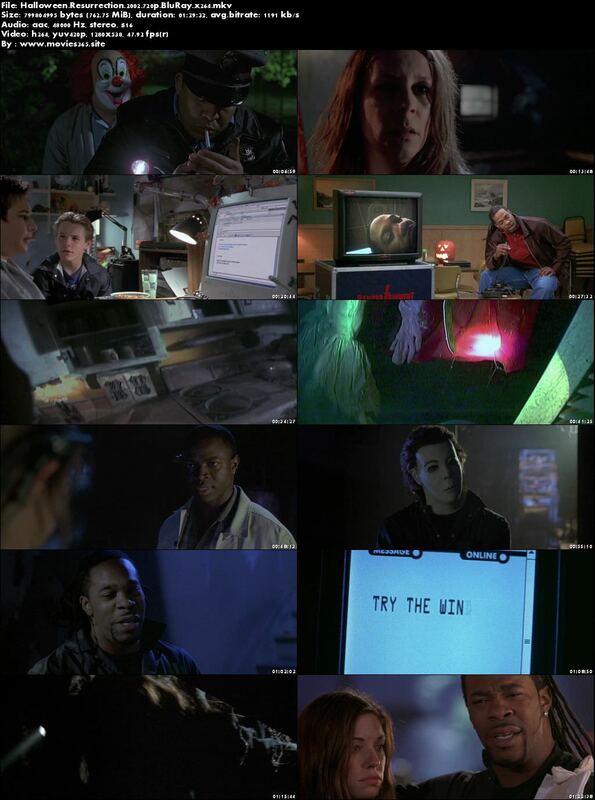 Halloween: Resurrection is a 2002 American slasher film and the eighth installment in the Halloween series. Directed by Rick Rosenthal, who had also directed Halloween II in 1981, the film builds upon the continuity of Halloween H20: 20 Years Later. Larry Brand and Sean Hood devised the screenplay. It continues with the masked serial killer Michael Myers continuing his murderous rampage in his hometown of Haddonfield. Yet, this time, the killer’s old, derelict childhood home is being used for a live internet horror show. It stars Busta Rhymes, Bianca Kajlich, Thomas Ian Nicholas, Ryan Merriman, Sean Patrick Thomas, Katee Sackhoff, Daisy McCrackin, Luke Kirby and Tyra Banks, with Jamie Lee Curtis reprising her role as Laurie Strode.